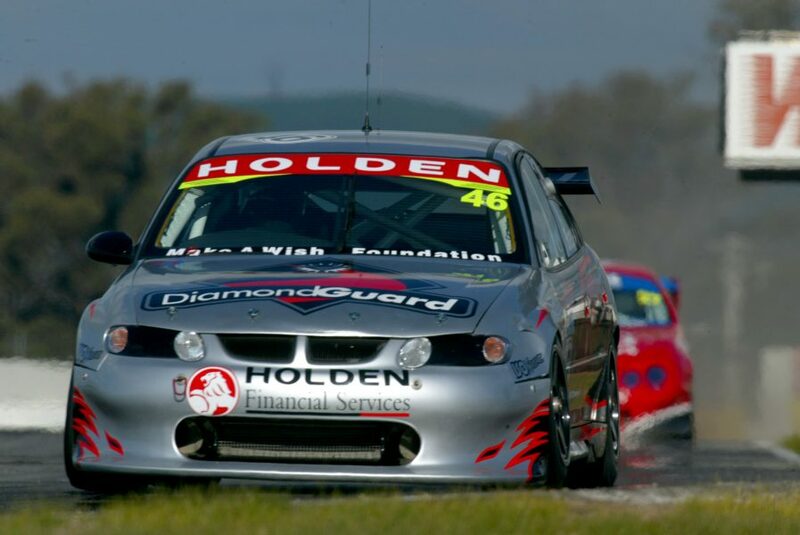 Having come from racing obscurity to being hunted by Supercars teams, Dale Brede rode a fast, high-speed Supercars wave. Jumping straight out of karts into Formula Holden open-wheelers, he switched to the Super2 Series and finished second to Paul Dumbrell in 2002. 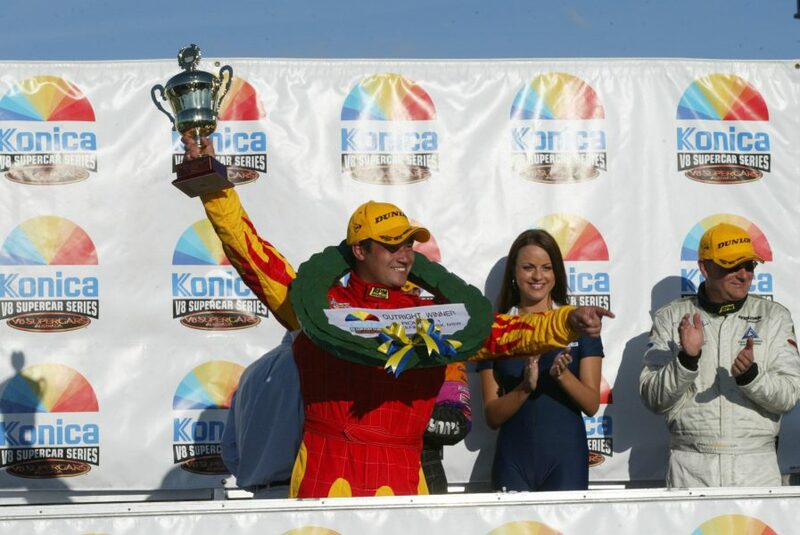 He competed in the full 2004 Supercars Championship with Team Dynamik before taking on an endurance driver role with Brad Jones Racing, enduring the gut-wrenching experience of the death of his co-driver, Mark Porter, at Bathurst in '06. In this edition of Saturday Sleuthing we caught up with Brede to discuss his rise and exit from the sport. What makes up a day in the life of Dale Brede these days? I own and run Canberra Motorcycle Centre. It’s one of Australia’s largest motorcycle dealerships. We have 10 brands, a big accessories business with an online portal and we recently launched our own finance company that is part of the company structure. Since leaving the racing scene, I certainly haven’t been sitting still! You also remain active in the racing scene, but two less wheels than what you used to have. I run the factory Suzuki team in the Australian Superbike Championship. We’ve got Josh Waters and Markus Chiodo riding our bikes this year. Last year was our first season. It was just a single bike team with Josh, and as it turned out, we won the title, so we were pretty excited about that. This year, we expanded to two bikes and grew the team. In terms of results, it’s been a tougher year, but we’re mindful that we are developing the bike. Your rise from karting to Supercars came about very quickly. Before your debut with Arthur Abraham’s NRC team in the Development Series, tell us about your whirlwind start to motorsport. 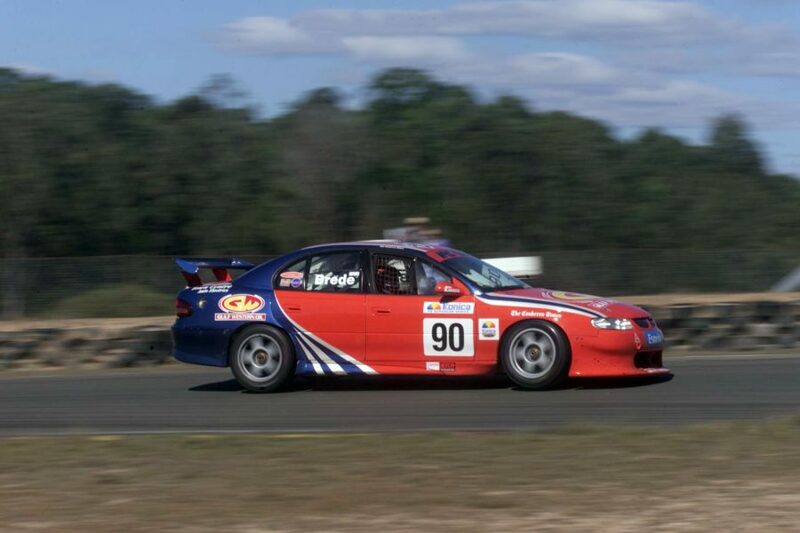 I did two races in Queensland Formula Ford with a guy called Greg Fahey, and after that we decided to go and buy a Formula Holden. I bought a Ralt RT23 from Steve Cramp and we tried to do it ourselves with mates but it was a disaster, so I got Steve to run the car for me. That went OK, so the following year, we stepped up to a Reynard 94D. Steve ran it for us again, and after that, I raced for Arthur Abraham’s NRC team. Christian Murchison was my team-mate and he was very fast. Arthur put together a really good package, and we were pretty competitive. By this stage it was 2001 and I was looking for something new, so I stayed with Arthur’s team who entered a car in the Development Series. We had a good solid base with Arthur. To step into the Development Series as a privateer operation with a team that had no experience with the V8s, we were able to find our way through it and be competitive. At that point, you didn’t have to be in a factory team to be competitive. 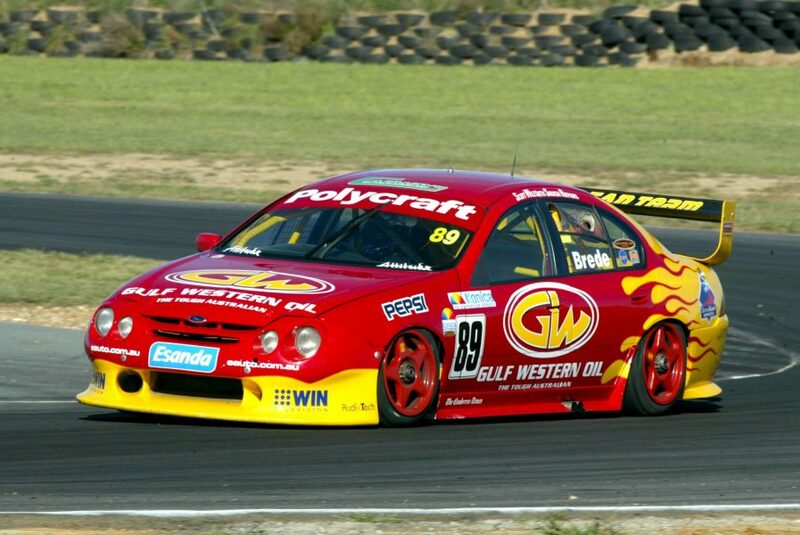 We ran inside the top four or five, and that was OK.
One of the pitfalls you find in motorsport is the people that you deal with, and the reality was that the deal with NRC didn’t work out as it should have, so I linked up with Craig Harris and drove the Gulf Western Oils Falcon in 2002. And that was when you really made yourself known to the Supercars community, winning the opening round of the series at Wakefield Park. We were really competitive there. We didn’t win the round by just collecting points. I qualified second to Paul Dumbrell, finished second in Race 1, finished second in the reverse grid race and started from pole for the final. I got the lead and led from start to finish. Dumbrell served me up during the race, dislodged my bumper, but it was a really good race. We went to the second round at Phillip Island and I was a second-and-a-half faster than the field in the first practice session. I thought, 'how good is this? We’re on for the title here'. But from then on, I didn’t get a look in. Dumbrell found something and no one could touch him. He was up the road and I was the best of the rest. When I think about 2002, it makes me think of good decisions and bad decisions – decisions that either makes or breaks careers, and I reckon 2002 was the first step to me making the wrong decision. I was going really well in the Gulf Western car and I’d developed a good relationship with Brad and Kim Jones. I’d structured a deal for Andrew Jones to drive with me in the two enduros. We’d agreed to it, but out of the blue, I had a call from Briggs Motorsport who wanted me to drive in the CAT Falcon in the enduros that year, but their exact words were 'it’s on the proviso that you’ll agree to drive for the team in the main championship in 2003'. Now, for a young bloke fresh on the scene, that was a big deal, so I took it, but when we sat down and structured the deal, it wasn’t quite what they made it out to be. They wanted me to drive the CAT car, but they wanted to attract the Gulf Western sponsorship too, so I kind of burnt the Jones’. The writing was on the wall. Simon Wills had a falling out with the team. They drafted in Steve Owen a couple of rounds before the enduros and I didn’t know why they got him when they were talking so positively to me. So I should have known then. After that, I guess I was lucky because at the end of the year I had nothing and I sort of fell into the Holden Young Lions program with John Faulkner’s team for 2003. 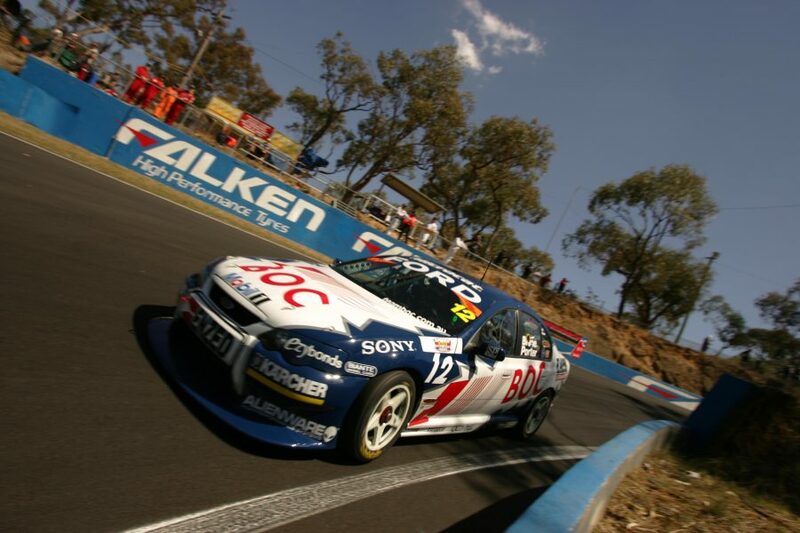 That HYL season led into a full season with Team Dynamik in 2004, completing a full Supercars Championship program. In terms of results there was not much to write home about, but what did you take out of that experience? I was chasing the dream and an opportunity arose to race in what appeared to be a competitive outfit. [Simon] Wills and Jason Richards were competitive in 2003, so it looked like a pretty good package. I had to bring money to it, but compared to a full season with a top team in the Development Series, there wasn’t much difference. 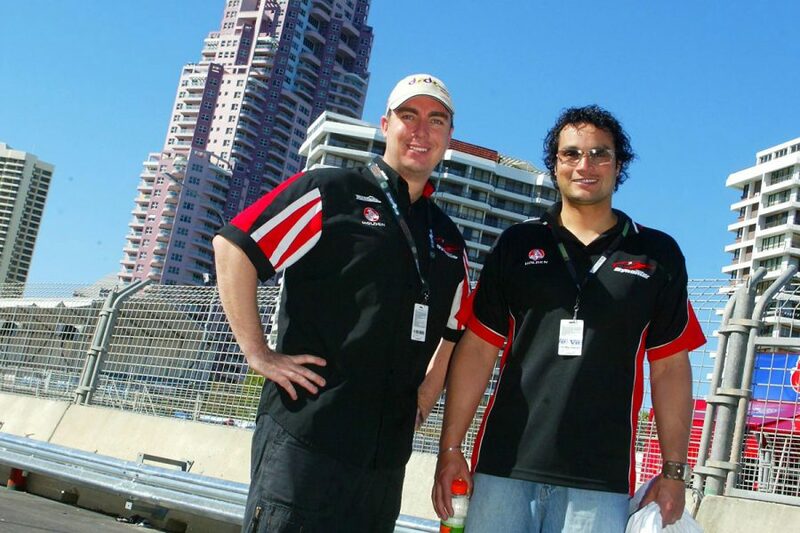 At the time, Team Dynamik was going to sign Garth Tander, and at the 11th hour, Garth back flipped on the deal and decided to stay with Garry Rogers’ team. They would have paid Garth pretty well to do it, so when that went away, they came to me with a pretty attractive offer. 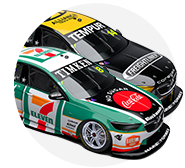 In their defence, they got stuffed around by some of the sponsors they were dealing with and, as a consequence, they stopped development and they were building a third car that they put Will Davison in as a third entry, so they were spending money they didn’t have. As a consequence, my car was breaking down all the time – massive reliability issues. As an experience, it was awesome to run the full championship. It was disappointing because the writing was on the wall – I had no momentum to continue to grow as a driver and become stronger. I really had the opposite. 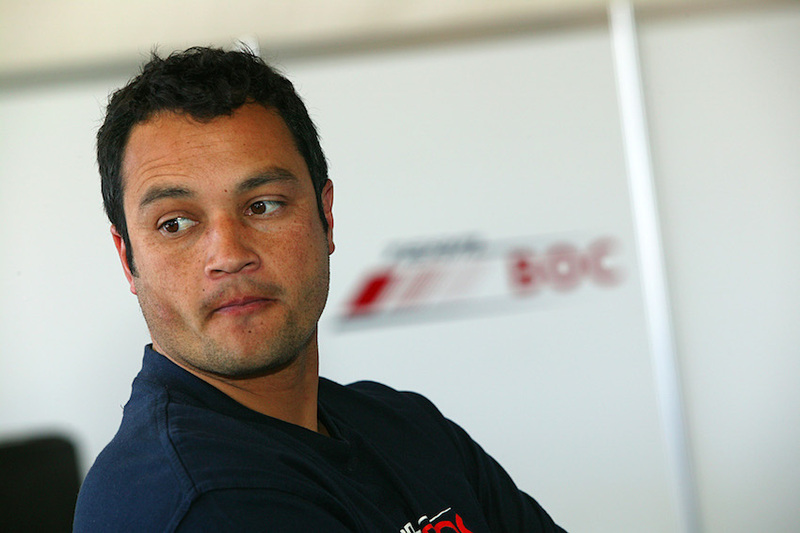 You became an endurance driver for 2005 with Brad Jones Racing. 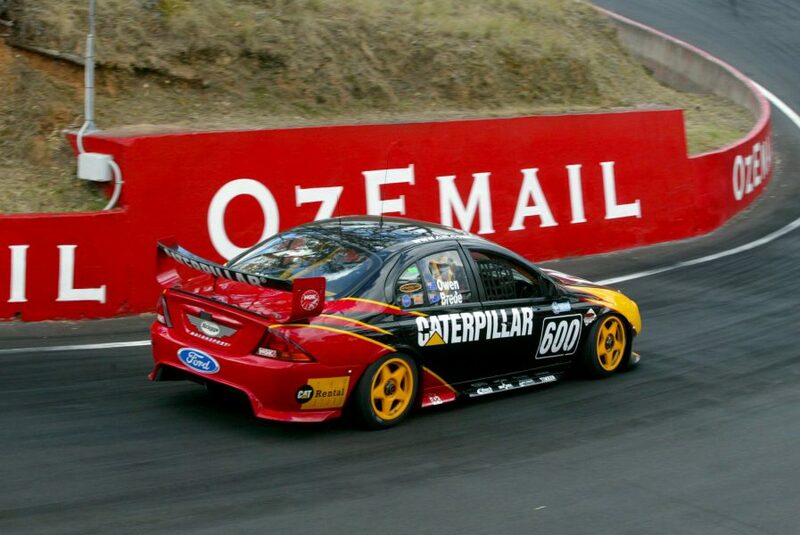 This included a career-best seventh at Bathurst with John Cleland. That was really good; we got to do a couple of Development Series rounds as well. I finished second at Mallala and then had the really strong result at Bathurst with JC. It made the discussions for 2006 very easy, they were keen to keep me on board for '06. And there’s no doubt about how difficult that Bathurst 1000 event that year would have been. Your co-driver Mark Porter lost his life after a crash in the Development Series race on Friday. What do you recall of the tragedy that unfolded that weekend? I’d raced Mark a bit in the Development Series a bit and we’d had a couple of run ins. So we didn’t really have a relationship, and if I’m honest, I didn’t really like him! But when I met him prior to the Sandown 500 for our first race together, he was a completely different person to what I expected. He was about the same age as me, he had a wife, a small child, was successful in business - which I admired - and he was just a really, really good dude. Bathurst was really difficult. There’s so many things that I remember from that weekend that will stay with me forever, and one of those was that he was struggling in the Development Series that weekend. Usually, he’d be in the top five no problem. Before the race, he was getting changed in the BJR truck and I said to him 'Pull your finger out and have a go in this one'. He laughed and that was the last time we spoke before tragedy struck. Qualifying for the ‘1000 was immediately after that Development Series race and I was waiting to go out. The session was delayed, I saw the incident on TV, and I don’t know why I thought this, but I just remember not having a great feeling. Things weren’t right. I qualified the car and no one was saying anything. I remember going back to the truck and seeing his jeans and shoes and his stuff and I just thought, 'he’s not coming back for this'. It was really difficult. We qualified pretty strong. They drafted Michael Caruso in to replace Mark and the race was going OK, we were just tapping away. We did a brake pad change at one of our stops and I forgot to pump the brake pedal, so I got up to the end of Mountain Straight, hit the brakes and there was nothing. 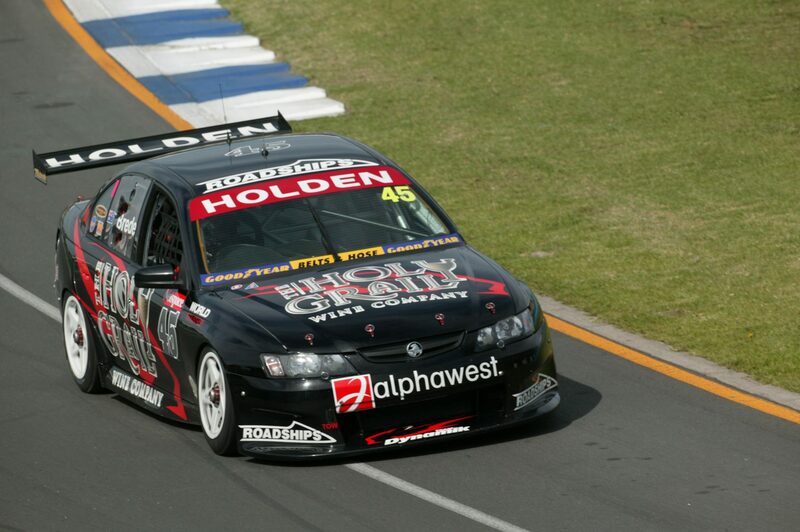 And that was it – that was the last time I drove a V8 Supercar. It would have been easy to withdraw the car for the race as a mark of respect. You and the Jones’ are pure racers, but were there any thoughts or considerations that you’d sit that race out? Or was the best way to respect Mark to get back out and get on with it? It’s really interesting. The thing that I love about Brad and Kim was that both years that I drove for them, I didn’t have a contract. It was a handshake agreement and they delivered exactly what they said they would. They live and breathe racing. I spoke with Brad after we’d found out about Mark’s fate and he said, 'I’m not sure – I’ve never experienced anything like this in racing before'. I think at the time Brad was inclined to pull the entry, but when we sat down as a group and had the conversation with everyone in the team, it was unanimous that we’d go out there and have a dig. It’s the old cliché of 'that’s what Mark would have wanted'. We didn’t know what he wanted, but the reality was that we wanted to do it and his wife and family were encouraging of us to do it, and I’m positive it was the right thing to do. It was just a shame that we didn’t get a result, because that would have been the ultimate tribute. And that was your last race meeting. Why haven’t we seen you at the racetrack as a driver since? I don’t think it had anything to do with Mark Porter’s death, but I said to myself, 'Am I going to be the next Craig Lowndes or Mark Skaife?' The answer was probably not. But I knew that if I kept working hard on my family business and build my career around that, I was going to be more successful than if I’d continued trying to race cars. In the end, if there wasn’t an opportunity to do an endurance drive with Brad, then it didn’t matter. I didn’t even go and look for anything. For me, it was done. I didn’t regret it as such, but I literally haven’t been back in a racecar up until recently when I drove a Radical, and I was surprised how much I enjoyed it. I’ve done some Superbike riding, which is good fun too, but I think my family prefers me driving cars compared to Superbikes! Who was really leading before GC600 stoppage?